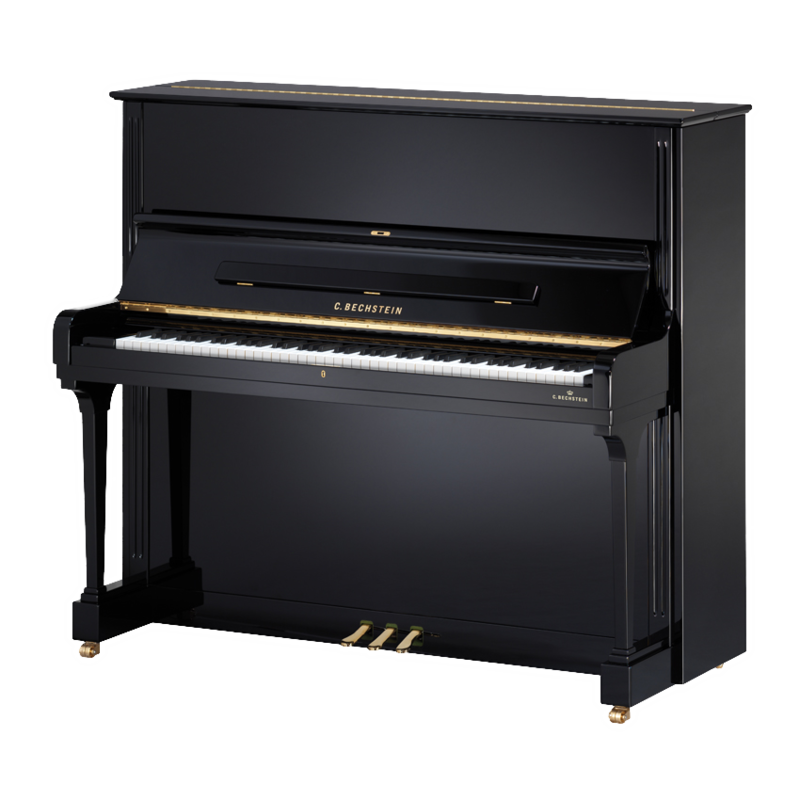 The C. Bechstein Concert 8 concert upright piano is the non plus ultra – the best concert upright in the world. For many decades, the C. Bechstein Concert 8 concert upright piano has been regarded as an unattainable model. It far exceeds a normal grand piano of a middle category. Its sound system, sound volume, color, touch, everything surprises and convinces even the most demanding players who are used to the precise response and the volume of a grand piano. In addition: The C. Bechstein Piano Concert 8 upright concert piano has received a fundamentally new acoustic system, which corresponds to the findings of the C. Bechstein grand piano masterspiece series. The C. Bechstein Piano Concert 8 as a concert upright piano does in fact contain the main engineering principles of the C. Bechstein current grand piano production. These include refined dynamics, more gradations of tone colour development, a more nuanced, optimized unfolding of tone. The soundprofile of the C.Bechstein piano Concert 8 has excellent fundamental tones that are more vocal and enduring. This concert piano is the ideal working tool of many professionals, musicians mention it by name – from Simon Rattle and the Beatles to Simon and Garfunkel. Find out about the details of these world-class pianos: the finest components, woods and other components, the months of continuous manufacturing production in Germany, the many test victories in the same sector. C. Bechstein Piano Concert 8 is the piano of pianos. In case your roommates and neighbours do not indulge your enjoying the C. Bechstein Piano Concert 8’s great variety of dynamic sound day and night, we are also able to install the Vario System in the C. Bechstein. Bechstein Concert 8 upright piano has a complex colorful sound spectrum and even more lyrical and enduring tones. This concert upright piano is the ideal working tool of many professionals, musicians mention it by name – from Simon Rattle and the Beatles to Simon and Garfunkel. Find out about the details of these world-class upright pianos: the finest components, woods and other components, the months of continuous manufacturing production in Germany, the many test victories in product competitions. C. Bechstein Piano Concert 8 is the piano of pianos. In case your roommates and neighbours do not indulge your enjoying the C. Bechstein Concert 8 concert upright piano’s great variety of dynamic sound day and night, we are also able to install the Vario System in the C. Bechstein.